Salland Partners with MultiLane on SerDes Solutions – Salland Engineering (Europe) B.V.
Salland Engineering International, B.V. and MultiLane SAL are pleased to announced that they are entering into a partnership to serve the testing needs of the rapidly growing market for ultra-high speed serial communications. Salland will integrate MultiLane’s high performance instruments into both their instruments product line as well as into their test applications services. The market for 10G, 16G, 25G and faster SerDes applications is rapidly growing due to the increased bandwidth demanded by applications like system backplanes as well as cable and optical links like multi-gigabit Ethernet, optical networking, imaging interfaces, etc. 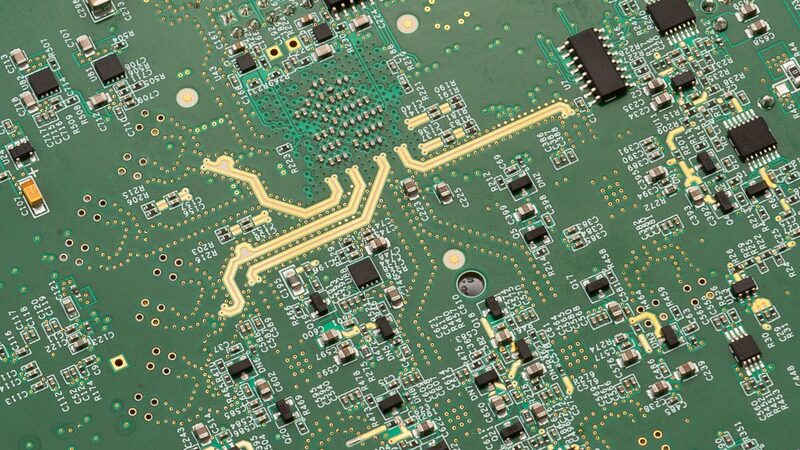 Semiconductor chip manufacturers who provide such serial interfaces in their devices have unique challenges when it comes to characterizing and testing their products in high volume manufacturing. Speeds required may exceed the capabilities of existing automatic test equipment (ATE). Add-on instruments need to have the proper software interface to the ATE. Additionally, special mechanical considerations must be managed when interfacing load boards and devices to the testers. Salland will deliver solutions based upon MultiLane’s high performance, compact instruments that enable chip characterization and production testing of SerDes functions to be accomplished using existing ATE equipment, thereby minimizing expensive investment in new hardware. Salland will provide the manufacturing supply chain for the SerDes instruments and application support to integrate the high speed solutions into leading tester platforms like Teradyne, Verigy and LTXC and others. Customers may also benefit from these advanced capabilities when they outsource their test development work to Salland’s test applications business unit. “We have been impressed with the strong recommendations we have received from MultiLane’s customers,” stated Paul van Ulsen, CEO of Salland. “We wanted a partner with strong technical skills and expertise in SerDes technology, as well as a partner with a proactive attitude towards collaborating with us to offer well integrated solutions to our customers.” Fadi Daou, CEO of MultiLane added, “Salland brings the ability to fully integrate our instruments into complete solutions for testing semiconductor devices used in ultra-high speed SerDes applications during high volume production testing. They have a strong, worldwide reputation for quality and support in their applications, software and instruments lines of business.” Interested users may contact their Salland sales representative now regarding these new products and services. Salland Engineering International is a leading supplier of test solutions for the semiconductor industry. Our solutions are delivered via a unique combination of hardware, software, test applications services and in-depth expertise. We enable our customers to achieve lower cost of test, higher quality and reliability, improved test floor efficiencies, faster time to market and streamlined interfaces with their supply chain. Since 1992, Salland has delivered thousands of production proven results to leading integrated device manufacturers (IDMS), fabless semiconductor manufacturers, ATE vendors and outsourced test and assembly services (OSATs) around the world. We are consistently profitable and presently employ over 100 people. Salland is headquartered in The Netherlands with additional development centers in Texas. We have worldwide sales and support centers in Texas, California, Italy, UK, Singapore, Japan, Korea, and Taiwan. MultiLane SAL is leading developer of high performance instruments and interconnects used to test and characterize multi-gigabit SerDes and high speed I/O applications. Our products are used around the world by top tier semiconductor manufacturers and systems companies contributing to the cloud computing infrastructure. MultiLane is headquartered in Houmal Technology Park in Lebanon.